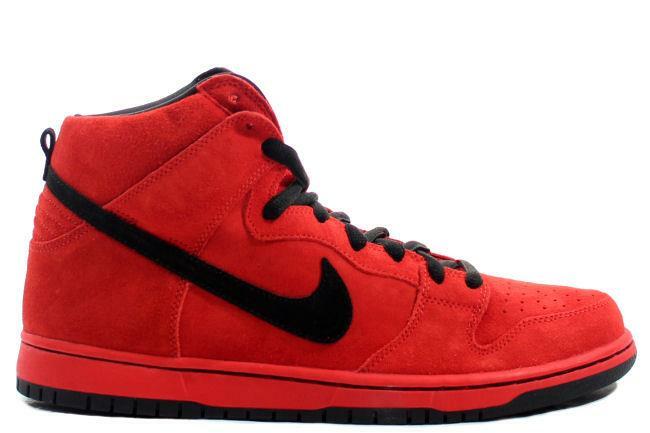 Info: Nicknamed the 'Red Devil', this all suede dunk has been modeled after the Dunk SB Low 'True Red' from 2003. 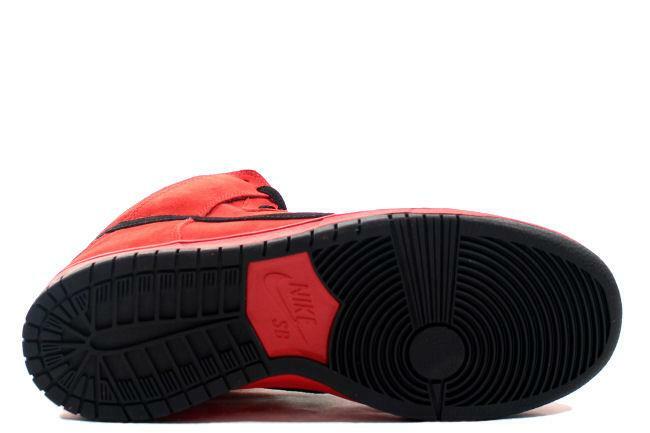 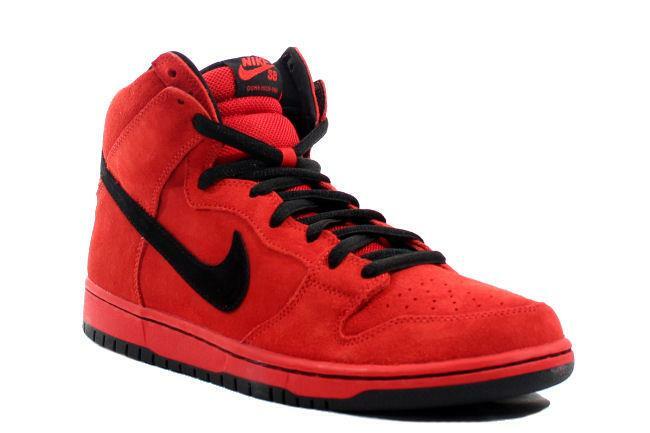 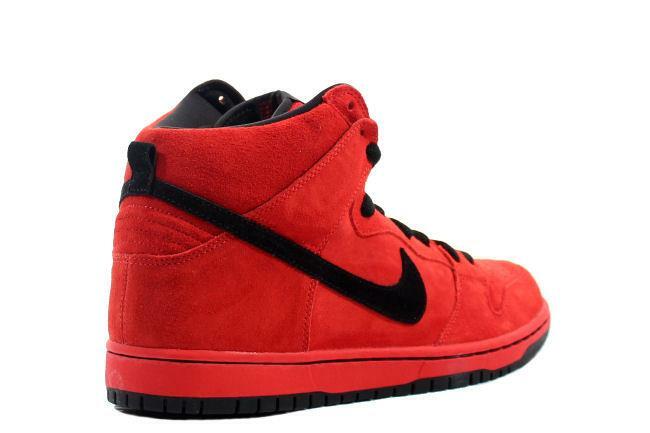 The shoes feature an all red suede upper with a black swoosh, laces and sockliner. 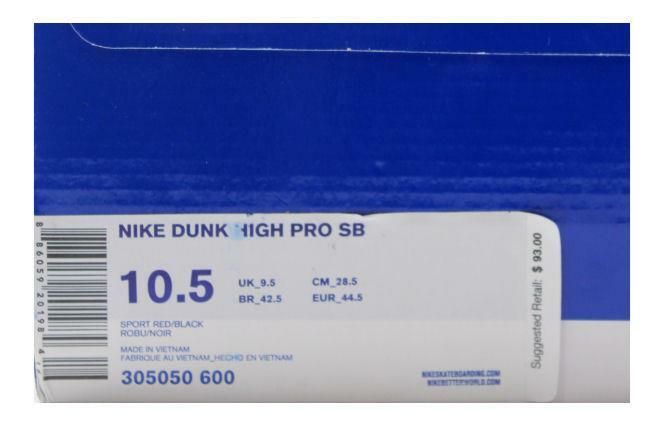 July 2011 SB quickstrike release.